Proud to present you the homemade “Ground Bricks Chicken Mix”. 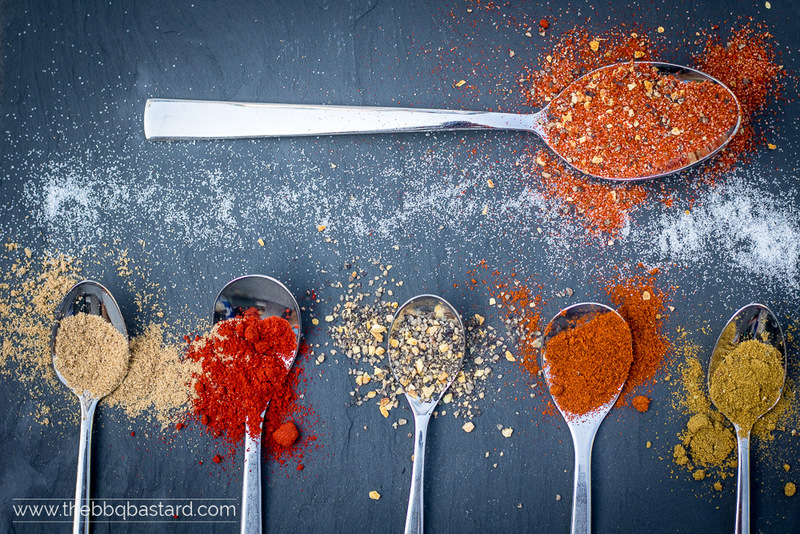 Every self-respecting BBQ lover should try to make a homemade rub. Not that you need to invent one but just so you can turn your recipes to your hand by playing with some ingredients. Every person has it’s own preferences and that’s how I think we should learn how to cook. Not by following recipes strictly but learning to turn them to your own hand. This rub is part of a post I’m about to share one of these days! Besides the Apple cider brine I used this homemade rub for my first Rotisserie Chicken. I can tell you now it’s a great combo so stay tuned for more. Besides rotisserie chicken you can use the Ground Bricks Chicken Mix for other chicken recipes too! I bet it would taste awesome on wings too! As stated before feel free to add or drop some ingredients at your own taste. I chose to keep the flavors limited but you can go as wild as you want on this. This mix is not very difficult to make. I tried to make a balanced rub consisting of only a couple of ingredients that were able to compete with the others. The base is made of smoked paprika and salt bringing the brick like texture. I added lemon pepper for a slightly refreshing peppery note. It’s easy to make yourself (recipe in this post) but you can buy it premade if you prefer. Besides the pepper I added chili for the heat. The last ingredients are the cumin and crushed coriander seeds to add some depth. Thank you for stopping by taking a moment to check out this rub recipe! Share your knowledge or comments on the comment section below! 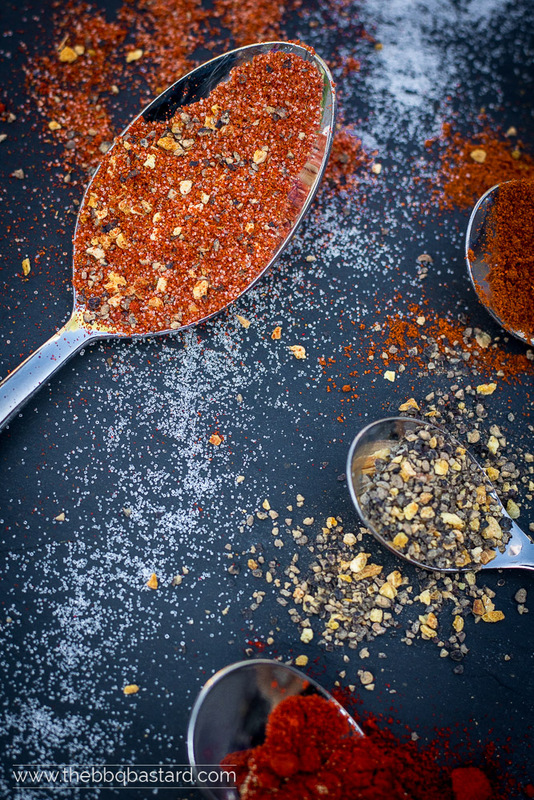 What’s your favorite (chicken) rub and why? 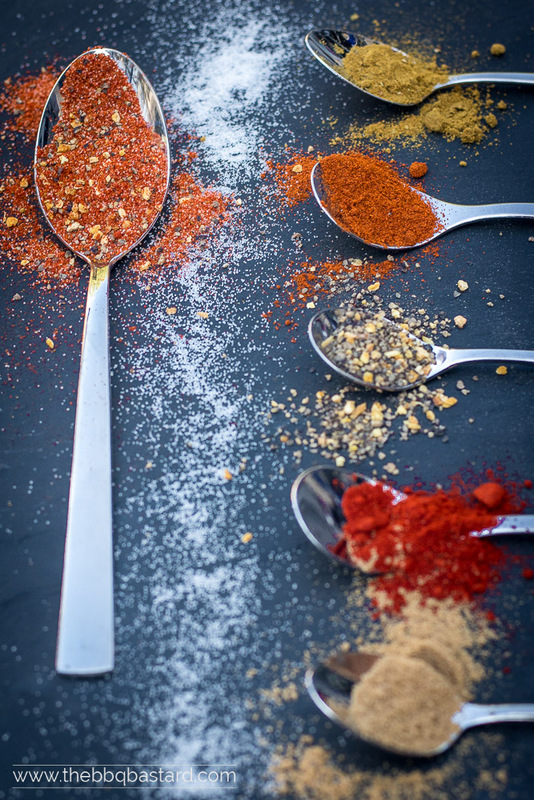 Making rubs from scratch is a great way to develop a recipe at your own taste. This ground chicken mix is a rub mix limited to six flavorizers developing a great taste. Hope you'll play with it and adapt it at your taste or tell me if it was good the way it was. But this is how I like my chicken! Mix all ingredients by hand. Break up the clumps if needed. Add the amount of ground bricks chicken mix to the chicken at your own taste. Make sure your piece of chicken has a nice red taint all over it to make sure the flavors are well spread.